Piano concertos, Brahms. 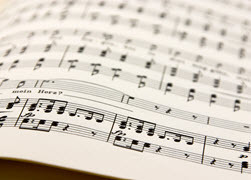 Performed by Sunwook Kim and Hallé. “Hallé and Sir Mark Elder are reunited with Sunwook Kim in long awaited studio recordings of repertoire with which he won the Leeds Piano Competition. London-based Sunwook Kim came to international recognition when he won the prestigious Leeds International Piano Competition in 2006, aged just 18… His performance of Brahms’s Concerto No. 1 with Hallé and Sir Mark Elder in the competition’s finals attracted unanimous praise from the press… Sunwook Kim has also enjoyed an ongoing relationship with the Hallé Orchestra and Sir Mark Elder, performing in a variety of repertoire across a number of seasons. Here they return to Brahms’ two masterworks; pieces which were separated by two decades and which display very differing musical and emotional outlooks, from the more ardent First to the more rhapsodic Second. 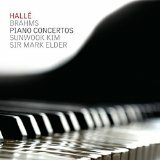 Elder and Kim perform the Second Concerto together at the Bridgewater Hall, Manchester in April 2017” (amazon.com). Faust Symphony, Liszt; arranged by Tausig. Performed by István Liakó. Carl Tausig was a student of Liszt’s, who transcribed his teacher’s orchestral work for piano. This is the world premier recording of that transcription, performed by the appropriately Hungarian pianist István Lajkó. Well-reviewed, this recording was an editor’s choice in the June edition of Gramophone Magazine. Stabat Mater, Dvořák. Performed by Czech Philharmonic with the Prague Philharmonic Choir. “Following his recent return as music director, Jirí Belohlávek and the Czech Philharmonic Orchestra present a new Decca recording of Dvorak’s Stabat Mater. Praised by the Guardian for their unbounded lyricism and Czech melancholy as well as authenticity that only this orchestra can bring, Belohlávek and the CPO are joined by leading soloist Eri Nakamura, Elisabeth Kulman, Michael Spyres, and Jongmin Park” (amazon.com). Coming soon: Handel’s Ottone; a compilation put together by Avi Avital and Omer Avital (not related); and a new recording by soprano Olga Peretyatko.